Errol Binda, Senior Solutions Marketing Manager for Aviat Networks, discusses the recent Aviat Networks and Symmetricom, Inc. announcement with Manish Gupta, VP of Marketing for Symmetricom, and Shaun McFall, Chief Marketing Officer for Aviat Networks. 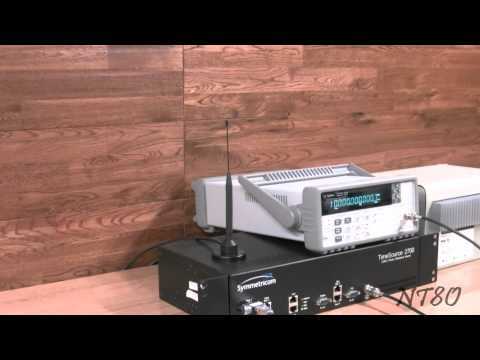 The Symmetricom Time Source 2700 primary frequency standard produces a very high precision 10 MHz signal that can be used to calibrate frequency dependent devices like frequency counters, spectrum analyzers and such. These same devises typically have a 10 MHz External reference input that can be driven with the Symmetricom giving the piece of equipment the ability to make very high precision measurements. Most equipment also has a 10 MHz output that allows multiple devises to share one Frequency standard.